Wellington Craftivism Collective: Oi All You Kiwis, Last Day Today 2 Enrol 4 Easy Vote! Oi All You Kiwis, Last Day Today 2 Enrol 4 Easy Vote! 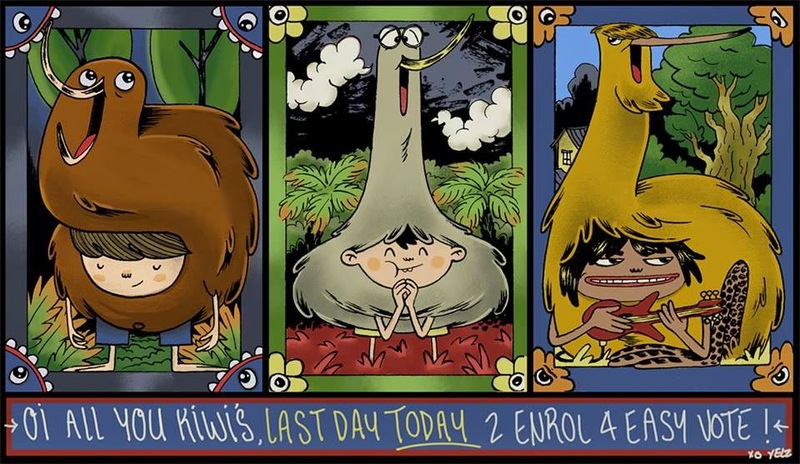 This coming NZ election if you kiwis want to vote, Yeltz who helped us out for Occupy Your Ears with his art work, has a reminder for you all,that it is the last day today to enrol for easy vote!